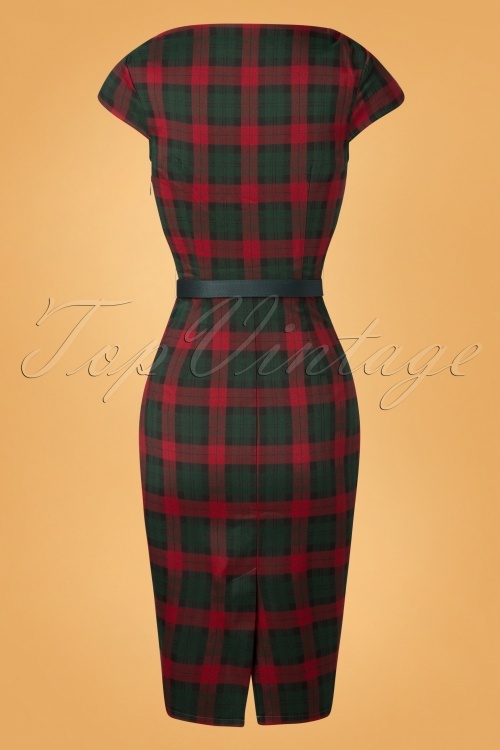 This 50s Irene Tartan Pencil Dress in Red and Green will wow for many winters to come! 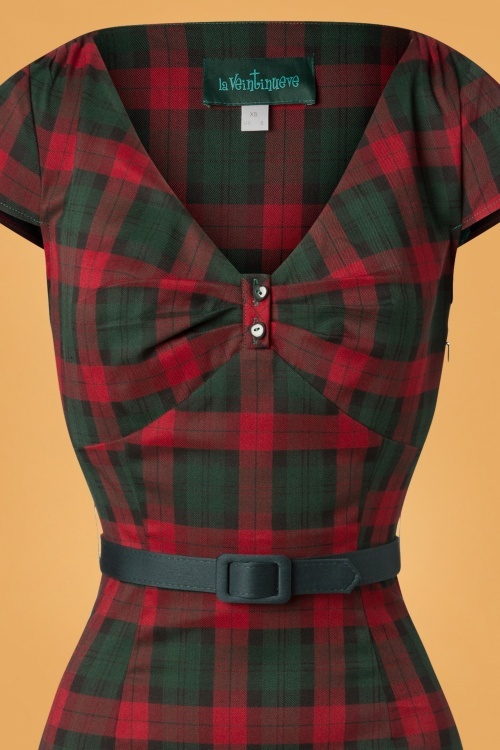 The stunning top features an elegant V-neckline, fine pleated detailing and decorative buttons at the bust and cute cap sleeves. 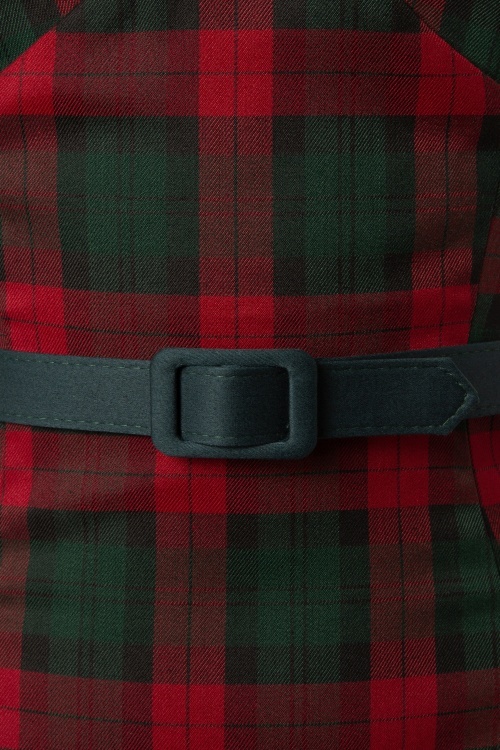 The green belt accentuates your waist perfectly and from there she flows into a fitted pencil skirt that kisses your curves without marking any problem areas. 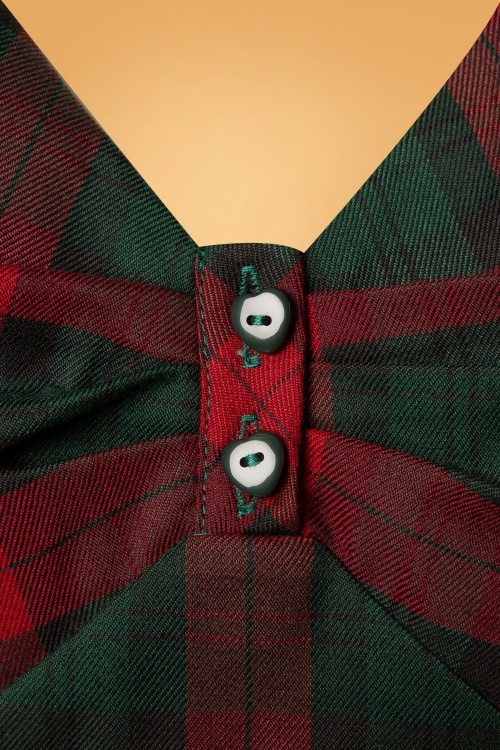 Made of a supple and soft fabric (doesn't stretch) with a classic tartan check in dark green and dark red. Clueless about what to wear? This dress is always checkmate! Bonjour Katell, je suis désolée que la fermeture s'est cassée si vite ! Je vous contacterai aujourd'hui encore afin qu'on peut vous offrir une solution ! Das Kleid sieht super aus und passt prima zu dem grünen Cardigan, den ich gleich dazubestellt habe. Das Kleid passt in M super bei Größe 36. Vielen Dank für den super Service. Meine Bestellung war bereits am Folgetag da. Der rote Pulli mit dem Schößchen sieht ganz klasse zum Pencilrock aus. Ich bin wie immer total begeistert.